JOHOR BARU- Come Wednesday, various events have been planned, in conjunction with the birthday of the Sultan of Johor, as well as declaration of Muar as royal town. State youth and sports committee chairman and information exco Md Jais Sarday said the events included a float procession, opening of the Johor International Jet Ski Challenge 2012 and a Supercar Tour. “To celebrate the Sultan’s birthday, other programmes include futsal, netball and football competitions. “We expect the programmes, which will run until Nov 26, to be attended by 100,000 Johoreans and tourists out to witness the historic occasion,” he said at a media conference here today. 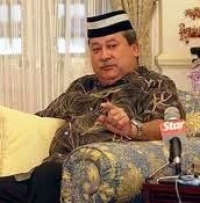 According to him, the investiture ceremony will be held at Dewan Jubli Intan Sultan Ibrahim near Muar, while the declaration ceremony of Muar as royal town would be held next Saturday at Tanjung Emas, Muar. Md Jais said, in conjunction with the celebration, the main roads in Muar would be closed in stages to traffic, especially on the Sultan’s birthday which fell on Nov 22. The roads are Jalan Sulaiman, Jalan Ibrahim, Jalan Ali, Jalan Arab and the Bakri Roundabout in Muar, which would be closed to traffic while traffic from the Abdul Rahman Roundabout or Jalan Ibrahim would be diverted to Persiaran Jalan Othman. On the float procession on Nov 23, Md Jais said its route along Stadium Sultan Ibrahim, Jalan Ibrahim, Jalan Sulaiman, Jalan Arab, Bakri Roundabout, Jalan Abdullah junction, Jalan Majidi to Jalan Abdul Rahman would be closed to traffic. He advised those wishing to attend the events to take public buses provided at Dataran Tanjung Agas from Nov 22 to 24.